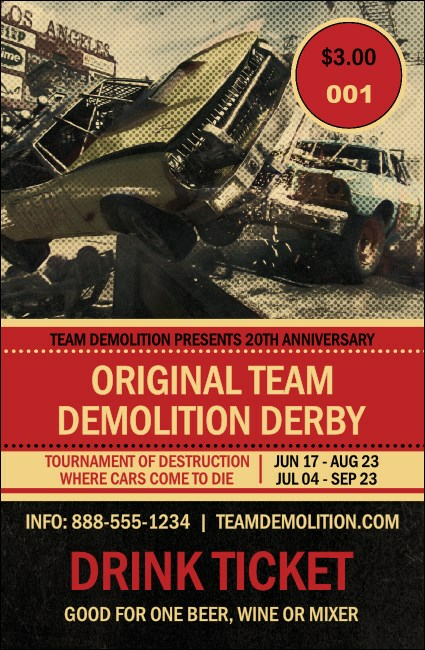 Drive your guests right up to the bar for a refreshing drink when you give them Demolition Derby Drink Tickets at your motorsport event. Each ticket features a rough-and-tough theme with the image of two old cars crashing into each other on a textured and faded red and black background. TicketPrinting.com will never crash your party!